A 40-year-old former construction worker suffered from a host of alcohol-related ailments when he first applied for federal disability benefits in 2010. He had been employed full-time, but was unable to work due to abdominal pain resulting from cirrhosis of the liver, hepatitis C, an umblicial hernia and low platelet count. 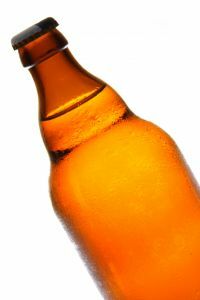 According to the court records, these conditions had been diagnosed years earlier and without exception, had been either caused or exacerbated by alcoholism. However, that does not rule him out as a candidate for federal benefits. Anyone seeking to apply for Social Security Disability Insurance benefits in Boston should know that addiction alone doesn’t preclude a person being able to successfully obtain benefits. But it is important that you stop using. In the case of Garcia v. Colvin, reviewed recently by the U.S. Court of Appeals for the Seventh Circuit, that former construction worker was able to eventually secure SSDI benefits – but only after a vigorous fight. In all likelihood, the reason for such an extreme push back had to do with the source of the man’s illnesses: His alcoholism. According to federal law, specifically 42 U.S.C. 423(d)(2)(A), a person is not considered disabled for the purposes of receiving federal benefits if alcohol or drug addiction is a contributing factor material to the determination. The key word here is “contributing.” If you continue to drink or use drugs in a way that perpetuates or exacerbates your illness, your claim is going to be denied. If, however, you quit and are sober, but your illnesses persist, then you can be considered a candidate for disability benefits. Court records reveal that the plaintiff applied for SSDI benefits in 2010. It was also around this time that he stopped drinking. Thus, his alcoholism was not longer considered a contributing factor. However, an administrative law judge found that he was capable of doing sedentary work, although the judge conceded that there were some limitations even on the kind of sedentary work he could do. The district court affirmed this ruling. Both of these decisions were made despite the fact that two doctors who examined the plaintiff (one of those physicians appointed by the state’s disability agency) determined that he was unable to perform any substantial gainful activity. In other words, he was found to be disabled. In fact, the doctor who worked for the state reported that due to cirrhosis of the liver, the man was a candidate for a liver transplant. However, he wasn’t placed on the transplant waiting list because he was too sick to undergo the surgery. In fact, his platelet count was so low, he couldn’t even physically withstand a liver biopsy. The man was described by social workers as essentially home-bound, unable to perform even basic household chores, though he did occasionally babysit an 11-year-old. In its review of the case, the the appellate court noted that it was “astonished” that the administrative law judge and the district court thought this individual capable of full-time employment. Part of the reason the lower courts likely decided as it did was that the claimant initially stopped working because his employer had gone out of business. Prior to that, his employer, who highly valued his specialized construction experience, allowed him to call off two to three days weekly. When the employer folded, there was no way this man could find gainful employment. As the appellate court indicated, the case stems from an desperate, disabled employee and an altruistic employer. The court ruled that even though it might seem contradictory, this case presented an example wherein a person could be employed full-time, but still not be technically capable of substantial gainful activity. Even though this matter had to be taken all the way to the federal appellate court for resolution, the claimant was ultimately triumphant.